When it comes to images, nothing can compete with a personalized map. A map visually connects your prospect with your business. It tells them where you are and how they can do business with you. No other image can tell that story as effectively as a personalized map can! Between Facebook, Instagram, and Tumblr, consumers share nearly 5,000 images every second of every day. In addition, businesses are increasingly using InfoGraphics to communicate their ideas and messages. The use of these images marks a shift in how we share information. Images now are the preferred way to share our stories. Let’s look at an example of how an image can help tell your story. Say you run a chain of childcare centers. Research shows that parents want their childcare center to be located within five miles of their home. Your story is that your Childcare Business has opened centers around the community that meet that need and ensure that parents don’t have travel far to get good quality childcare. 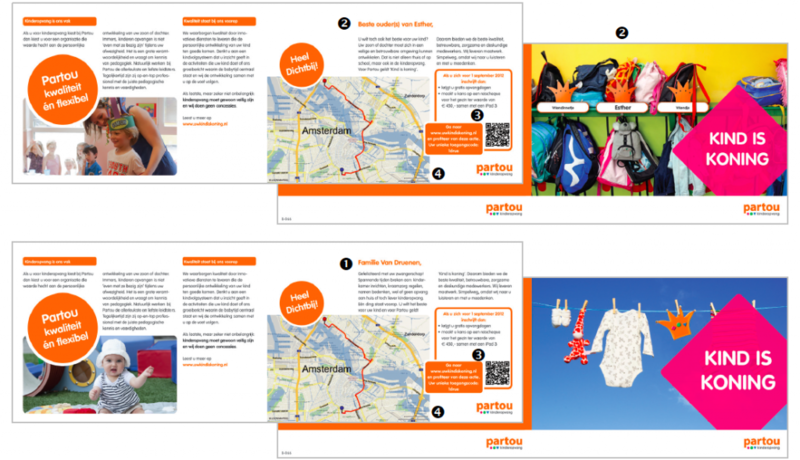 To tell that story, you create a direct mail campaign that includes personalized maps. These maps detail the route parents would take from their home to their nearest childcare center. The map provides an image that lets parents immediately see how easy and convenient it is to use your services.